We have received a message from many people to go back to the basics of the developments of Blockchain to IOTA,. The reason is that many people are beginners and also others lost in the current technical details. That’s why we just go a step back to the reasons for the developments. What developments are important to understand today’s situation. I would like to write some basics with this article as well as a brief overview of Blockchain, Bitcoin, ICO’s and BIG DATA. The developments of IOTA will be summarized and I will give a small outlook. The first idea of a digital currency based on cryptography dates back to the end of the last millennium, namely the year 1998. At the time, Nick Szabo published his ideas for a purely digital currency and spoke of “bit gold” in this context. 10 years later, in 2008, the world economic crisis is in full force — the housing bubble in the United States has burst, other countries are following suit. 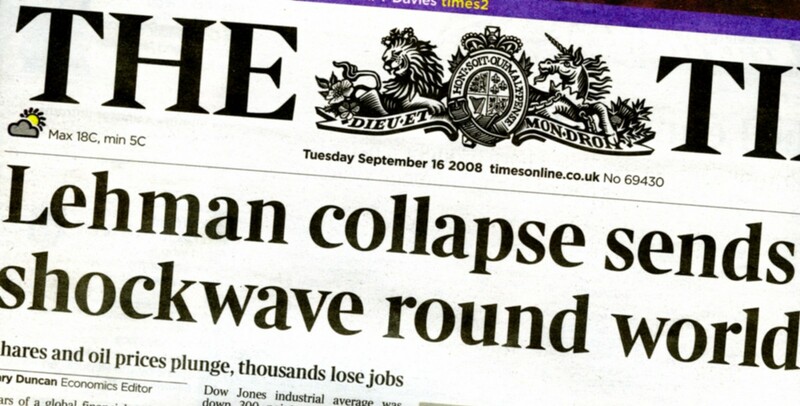 On 15 September, the events reach their peak as the big US bank Lehman Brothers collapses. As a result, the financial crisis forces states to save the survival of banks such as UBS or Commerzbank with large sums of money. The debt of many states rose to staggering heights. Companies such as General Motors filed for bankruptcy, the insurance company American International Group is being nationalized. In October of this year, the International Monetary Fund estimated the decline in the value of mortgages at a total of 580 billion US dollars. The conventional banking system seemed to have failed for the time being, and if you ask me, the flood of money that has been pumped into the markets since then is actually intensifying this. A new even bigger crisis of the traditional financial system seems inevitable. That was the time in 2008 when a new concept was introduced — a crypto currency. The foundation stone for Bitcoin was thus laid ten years ago. Someone under the name “Satoshi Nakamoto” published a paper describing the principles for autonomous digital money. It was a revolutionary idea: no central bank control, no national borders. The solution of many problems! It may be speculated that the development of this blockchain was an out-of-control plan B of governments should the global banking system collapse completely. The banking system, however, has survived thanks to state aid. For Bitcoin, a mechanism called Blockchain should provide trust and security. Roughly described, all transactions are registered one after the other — if someone tries to manipulate this chain of data blocks, it becomes immediately apparent because there are many copies. Bitcoin units are generated by the users themselves when a computer performs complex mathematical calculations. Their possible amount is limited, and the more Bitcoin there are, the more complex the “mining” process becomes. In a nutshell, Bitcoin’s success factor was its independence from a central body, the banks. For further explanation please look at the video. But Bitcoin has a number of weaknesses that were addressed by other cryptocurrencies in the following years. The success story of Bitcoin since that time and also the cooling in the last months is well known. Since the Bitcoin code is open source, the issue of coins emerged as a business model for financing ideas in the following years. 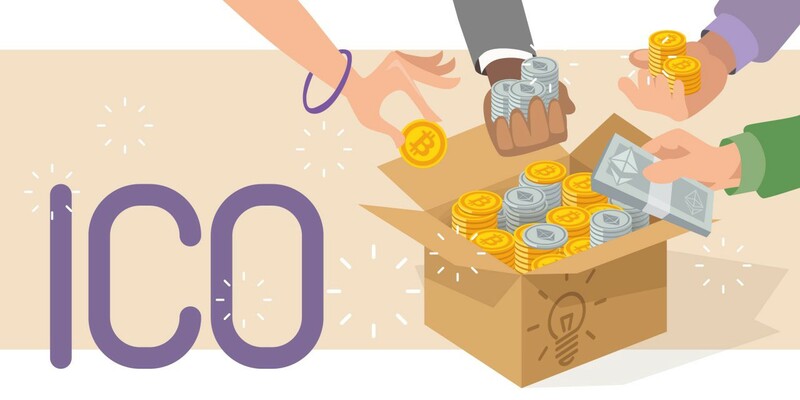 An ICO is a method of corporate or project financing that is often used by startups. The so-called Initial Coin Offerings are in parts comparable to an initial issue of securities on a stock exchange. An ICO is an unregulated way to acquire tokens for projects in the blockchain ecosystem via crowdfunding. Supporters or investors acquire the tokens of the project and speculate that these tokens will have a higher value in the future, similar to a stock on the stock exchange with the prospect of price gains. Currently there are probably more than 5,000 ICO´s who have financed themselves with the money of their supporters. A whole range of coins created this way will go under, because the business model behind them has no prospect of success, or they only hoped for money from bona fide investors. Getting rich fast is for some the reason to do an ICO. I did some research on the net and found out that for a few dollars I can buy a complete package for the implementation of an ICO. Including “White Paper” and Coins. So please be careful when speculating in crypto currencies and ICO´s. But not all are charlatans … A lot of interesting crypto currencies with very different properties (projects) have been established over the years. One of them is IOTA. IOTA is not based on Blockchain but on Tangle. This cryptocurrency has gone a different way from the beginning to address the weaknesses that Bitcoin and others have, thus providing wider application potential in real-world applications, e.g. the Internet of Everything. IOTA was founded in 2015 by David Sønstebø, Sergey Ivancheglo, Dominik Schiener and Serguei Popov. Unlike Bitcoin, IOTA has the special feature that the fixed quantity of 2,779,530,283,277,761 IOTA (2,779,530,283 MIOTA) was already created and distributed in one ICO at the beginning. So IOTA does not need or allow any mining (i.e. the creation of new coins like Bitcoin). IOTA conducted the ICO in November and December 2015 and was able to raise about 500,000 USD. The IOTA token was sold for less than $0.001. 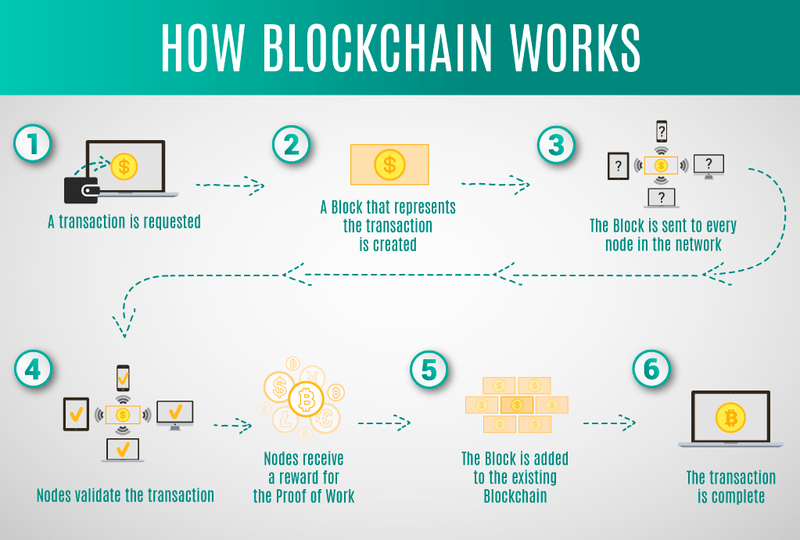 Whereas the classic Blockchain represents the transactions in a chain, IOTA uses an entire network — the Tangle. All transactions are linked in the tangle. This has many advantages and considerably expands the application scope of the technology. The tangle consists of numerous strands that connect so-called nodes with each other. 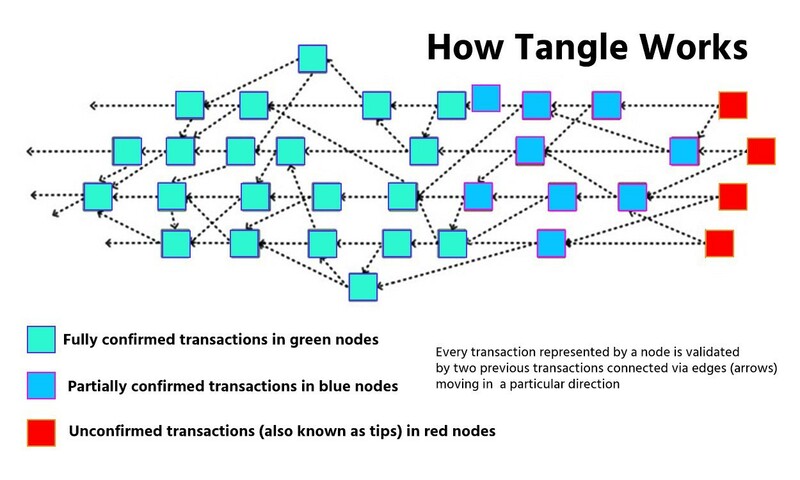 Each node in the tangle represents a transaction. The whole tangle therefore only consists of transactions. Since each transaction verifies two preceding transactions, the verification takes place in the network itself. In the Blockchain this is different: There the verification is carried out by mining and this takes time and effort (and therefore money). Because of these properties, the IOTA tangle is infinitely scalable and there are no transaction fees for the participants. This makes IOTA interesting for industry 4.0 and the Internet of Thinks (IOT). In addition to the advantages mentioned above, the use of IOTA can also go beyond the use as a simple payment protocol. For example, IOTA Tangle technology can be used to support Internet of Things applications. Through the use of Masked Authenticated Messaging (MAM), IOTA is able to streamline encrypted data transfers while ensuring a high level of integrity, data protection and data access management. Encrypted data transfer? Yes, BIG DATA is becoming increasingly important to society and businesses. For more informations read my article”Big Data, IOTA and revenues from the processing of data”. More and more companies are searching for their hidden data treasures. The declared goal: creating a strategic basis for faster and better decisions with the right information. However, in order for this data to generate real added value, the combination of technology and strategy is crucial. The data is one of the most important resources and innovative IT is an elementary component of the business model. Big data is not a trend that is only relevant for the big players in the market, but it is also gaining importance for the society and smaller companies. All over the world companies are currently trying to evaluate the data treasures and this can raise enormous optimization potentials. The goal is a more efficient, resource-saving and optimized production and society. In addition, process chains and data correlations are invaluable in analysis. In addition to linking data, payment processes are playing an increasingly important role. In the IOT, data has to communicate quickly with one another and payments have to be carried out very quickly. This is where IOTA comes into play. IOTA guarantees fast and efficient data transmission in connection with possible payment processes. The digitization and transmission of a large amount of data is not an end in itself, but rather existential, e.g. for the realization of climate goals to stop climate change. In a transformed energy system, for example, data must be transferred quickly and payment transactions must be carried out simultaneously. Only then is the interplay between the use of renewable energies and energy consumption conceivable in a climate-friendly way. See my article “IOTA: Allrounder in the energy transition”. Another example concerns the design of smart cities. In order to design urban conurbations to be resource-saving and liveable in the future, it is necessary to exchange a large amount of data and here too in connection with payment transactions. See my article “IOTA and Smart Cities”. The intelligent interaction of electric cars with electric service stations also requires fast data exchange and payment transactions. These are just a few examples of many possible applications. In order to guarantee all this, it is necessary to not only set up the applications described above but also the peripherals, e.g. networks, fast Internet and measuring systems, as otherwise it cannot function. This is a time uncertainty factor, because we are still lagging far behind. And another uncertainty factor that affects all DLT´s comes into play: Regulation. 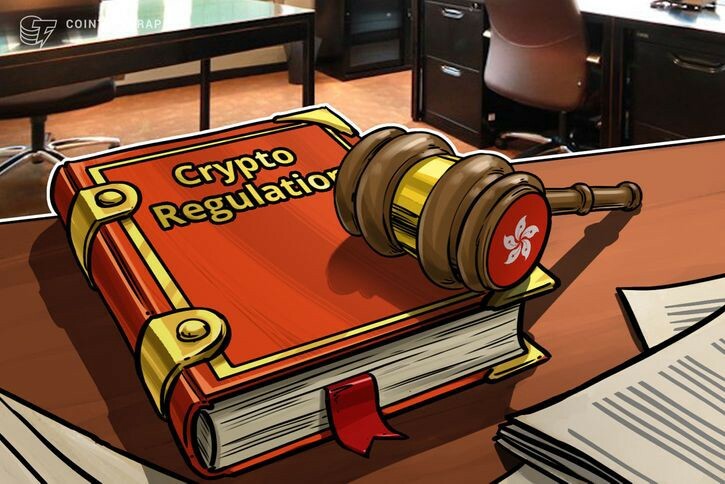 The regulation of crypto currencies is the confrontation of states with many cross-border crypto currency systems, which can be used for terror financing, for humanitarian, international aid projects as well as for solving global problems. It is interesting to see how individual countries deal with these problems and what the future holds. Here, it makes sense to find solutions that do not limit the need to use cryptocurrencies in real-world applications that also help solve global issues. IOTA is therefore a Digital Ledger Technology (DLT) that is far superior to many other DLTs. In addition, the IOTA community is awesome and helpful. You won’t find something like this anywhere else. But these advantages of IOTA are only known to a very small part of the population, because IOTA itself has not yet completely emerged from the niche. Of course, this is also due to the fact that IOTA is still relatively young. Most of those who have dealt with IOTA have done so for speculative reasons. Always keep an eye on the soon to be realized “Lambo”. Despite all its advantages, IOTA is still a very young crypto currency and is still in its infancy and is just beginning to grow up. This also means that it is suffering from a number of teething troubles. To these teething troubles I count all things that have not yet been solved. There are many things you could name. The coordinator, the scalability of the cluster, the lack of smart contracts, … These are, among other things, the reasons why some major industrial applications have not yet been tackled. But IOTA technology is not the problem here, it’s the time. The technology can be further developed and this is the case at the moment. The IOTA Foundation has hired countless great people this year to solve existing problems. This is extremely important because IOTA technology competes with other coins and time is of course a big factor. It’s about the race which DLT technology first sets certain standards. If you have the edge here, you can possibly secure a decisive advantage over the others. Currently, many things of IOTA are still in the beta phase and Qubic has also not yet been fully implemented. This is not a criticism, because that’s just how it starts, but it should make clear, why there is still a lot to do and why IOTA is tackling it. Yes, of course there are the large industrial cooperations and these are of course also enormously important for IOTA. Fortunately, there will be more of them, but it will only be in the next few months that we will see what the real outcome will be. 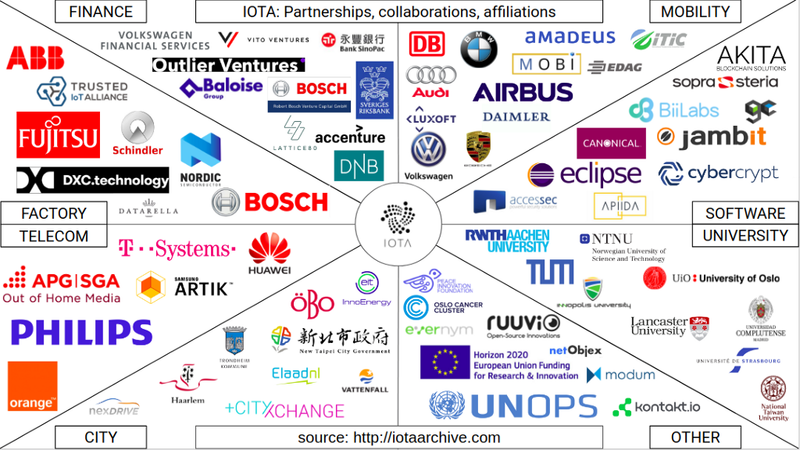 I have written the article “IOTA expands industrial partnerships …” about these big partnerships. The many smaller applications are also of great importance in order to test the features of IOTA in the field. Countless developers are working on how and what you can do with IOTA technology. These developers in particular are providing important impulses for the further development of IOTA in their feedback to the Foundation. Furthermore the IOTA Foundation has created an ecosystem that is unparalleled. Project ideas can be exchanged here and the IOTA Foundation also supports outstanding projects. About a year ago in the midst of the absolute hype, you could get the feeling that the entire press and every single person knows something about IOTA. The advantages were praised to the skies and the rest was dismissed as a “trifle”. This trifle, i.e. the conversion of ideas into real applications and practical suitability, beyond “Young Researchers”, is what is currently shaping day-to-day business. And that is important and right. Even the best technology needs time and experts for an optimal implementation. The hype has subsided a bit. It has become calmer around IOTA. I think if I were to walk through the city today and randomly ask a few people about IOTA, most of them would just shrug their shoulders. Very few people would know what it would do, let alone be able to explain IOTA. That is reality. For Bitcoin, this survey would be quite different. I made two graphics that explain quite well many connections between hype and disillusionment, also applicable to IOTA. The following graphs nicely show the connection between greater knowledge of a young technology in the population at a higher price level, beyond the first hype. Of course only under the condition that the technology itself does its homework. Yet a certain, ever-increasing public awareness is enormously important for a young, up-and-coming technology on its way to become a global standard. The winner of two equally good technical solutions will always be the one that has the better acceptance among the population. The task ahead will therefore also be to get out of the supposed niche and into the general public. 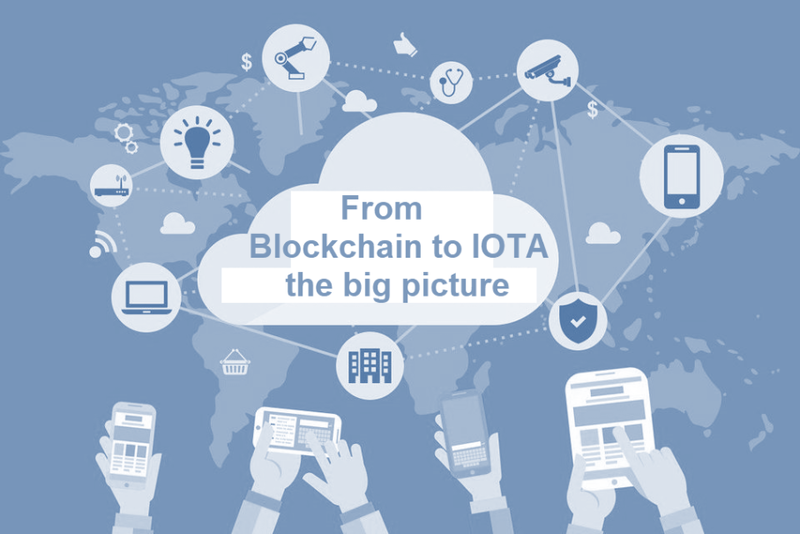 IOTA has already taken a number of steps and provides information to an interested public on the blog, at meetups, on various social networks, in newsletters and in communications. The IOTA Foundation was also involved in major events. That’s good in my opinion and absolute great. But external, independent support is also important when it comes to public acceptance. Of course only if this is high quality. The screaming out of always the same phrases, of course, rather deters. This is where we at public IOTA see our role as independent supporters. This independence will play an increasingly important role, because confidence in independence is sometimes greater. We would like to help IOTA as a young technology to be accepted by the general public and to be widely accepted in the future. However, we will also constructive critically accompany the further process, because this can also help to optimize the processes up to a global standard. Of course, a wider public is also good for those who are planning a service or offer in the IOTA environment. If you want to support us, the “public IOTA” project, as an independent group with no financial background, you will find the right way here. We look forward to every donation so that we can continue to work in the future. More information about us can be found here. I would describe the next two years as fateful years, because they will decide which technology will be able to present itself usable for the future tasks of a transforming world and to generate advantages ahead of other DLT’s. In these two years the preliminary decision will probably be made as to which DLT will become a global standard. From my perspective, IOTA is very well positioned. All this is also reflected in the IOTA price. Of course there is also a big dependency on the Bitcoin price and at the moment it has become very quiet here. But on the other hand the price also reflects the current market assessment and the “value” of IOTA. Of course, the aforementioned uncertainties about the future play an important role here. I hope I was able to clear up a bit and you like this article. Interested in cryptocurrencies especially IOTA and member of the public IOTA project.